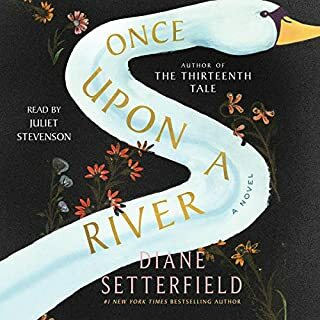 While searching for my next audiobook, I discovered "Once Upon a River" simply because I wanted to hear a book read by Juliet Stevenson. What an enjoyable experience to hear this clever tale read in so many voices and all done by Miss Stevenson! I don't want it to end. How does she do it? I know she's an acclaimed actress and I shouldn't be surprised how amazing she is in her reading of this book! I must run...I'm almost at the end and I'm prolonging it! Enjoy! !